No it is not a school day, it is RACE DAY! I get dressed, brush my teeth and head out the door and then run back into the house 3-4 times to grab last minute items that I forgot. Eventually I feel confident I have it all and head over to the Day Care center which serves as our start and finish area. The only detail that had not been taken care of was marking the course. I grabbed Reagan’s side walk chalk and headed out to mark the miles and draw arrows to director the runners and walkers while on the course. I think next year I will opt for cones- I found that the side walk chalk was not nearly as bright as I was hoping- however it did the job! 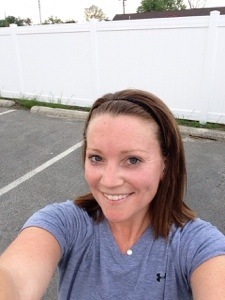 Course is marked and just as I was taking a post-run sweaty selfie, my crew started to arrive to get things set up. It did not take us long to put out tables and get our registration area set up. We turned on some music and just like that people started to fill the area! Volunteers (my 37 week pregnant very best friend, neighbors, family and others) started arriving and even some runners and walkers could be seen picking up their packets. The National Junior Honor Society students started arriving and gathering around waiting for their assignment. Once the majority of the students arrived I walked them down to their water stop area. I went over brief instructions and then explained there most important job would be to make sure no runners get lost and follow the course correctly! I can report they did their job wonderfully and all participants stayed on course (for the most part anyway!) Once my briefing when the students was finished I jogged back to the start/finish area where lots of smiling faces greeted me! It brought tears to my eyes to see everyone there to support such a worry cause. It was almost race time! By this point I could not stop smiling. 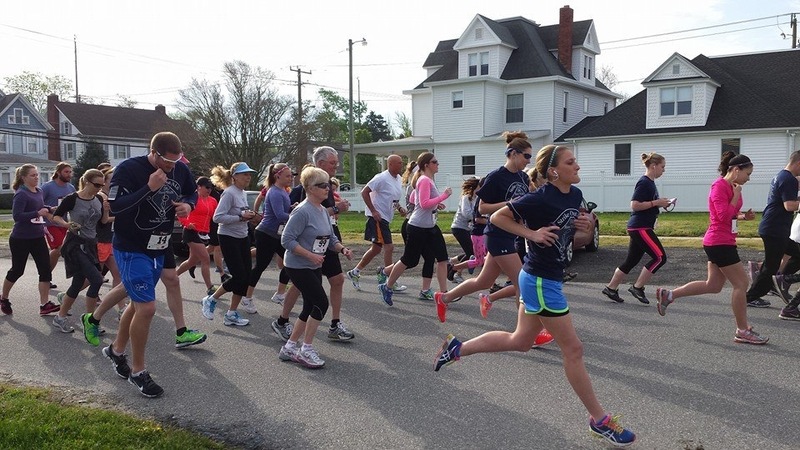 Over 130 people had pre-registered and I knew others would sign up on the day of the race. We started some basic pre-race announcements and I was starting to get nervous! I checked in with registration and most of the bags had been picked up. We were also right around bib #160!! WOW! Jack’s son took the microphone and thanked everyone for coming and for everyone’s help and support for the event! He did such a great job and really set the tone for the rest of the day! 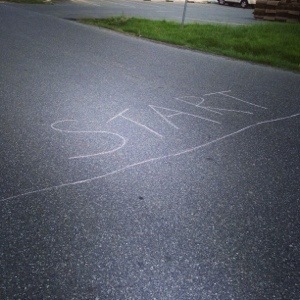 Runners joined me at the starting line and I went over the route. When I asked the question “any questions?” everyone laughed and had the nervous look that they were sure they would get lost. I know I always feel that way when a race director is going over the course and I was hoping that when I made the promise of the course being “marked well” it would stand true when they ran it! Before they took off I thanked them all for coming and reminded them to smile and have some fun! On my command the runners were off! We ended with around 40-50 total runners! 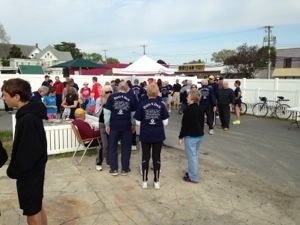 Walkers joined me at the starting line and I explained their very easy “out and back” course. The walkers took off with lots of cheering and laughing!! 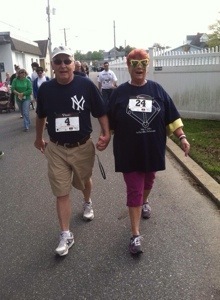 Jack (who the race was for) and Ellen, also diagnosed with ALS walked together, hand-in-hand. This picture is by far my favorite from the day. It says so much and brings tears to my eyes every time I see it. They are both so strong and so inspiring and do not even know it! 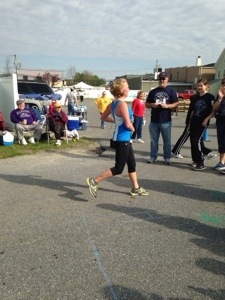 Yep, about 17 minutes after the runners took off my first male finisher was in sight! During the small window that all participant were on the course I debated with an older gentlemen that we would have runners finish around the 18:00 minute mark. He assured me no one would finish before 25:00 minutes…boy was he wrong! After our first male finisher a few more males came across the finished line and then we spotted our first female! It happened to be another one of my best friends! I was proud of her! As time went on lots of runners came in and some of the walkers even started to cross the finish line! Unlike most races we were not marking down finishers times as they crossed the line- we did have a clock so participants could see how long it took them to run but no age group awards were going to be given out. Their only job was to give us the bottom tear off tag so we could enter them info our fabulous finishers raffle! Throughout the time leaded up to the race myself and many others collected prizes and gift cards from local businesses! We used them in the finishers raffle! It was much easier to manage the finishers raffle instead of worrying about everyone’s finishing time!! By this time all participants had finished the run or walk and the middle school volunteers were headed our way with the water stop table in hand! 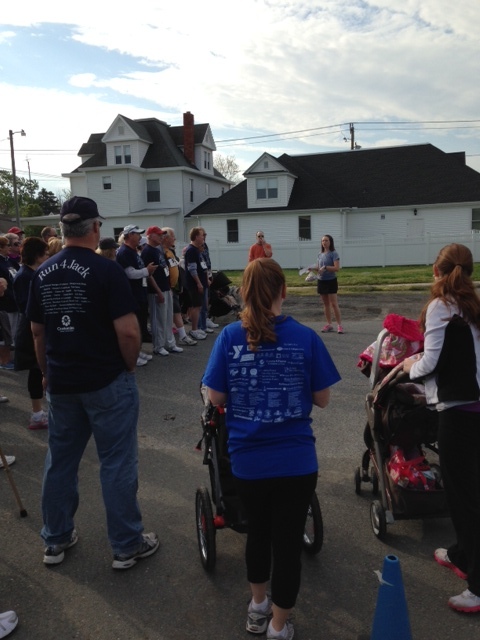 At this point we announced our first male and female 5k finishers and began our finishers raffle! Not to brag but we gave away really awesome prizes!! Just to preview a few: 2 nights stay the Quality Inn in Ocean City, MD, 2 separate golf packages at local golf courses (Glen Riddle & Rum Pointe), many local restaurant gift cards including The Hobbit, Clarion, Georgia House, Fish Tales, Countryside Cafe, Applebees, Galaxy 66, Warren’s Station, Hoopers Crab House, Doyle’s Family Restaurant, Murphy’s, High Stakes, Abbey Burger Bistro, and even some great gift baskets from Elegant Images, Annabelle’s Boutique, Get Polished, Light House Dance and Yoga, Fenwick Island Boot Camp, and the Delaware Learning Institute! Everything is packed up and cleaned up. I look at my watch and cannot believe everything is done before 10:00! What an awesome feeling! The rest of the day was a blur but I do know one thing for sure: I was happy. I was happy that everything went so smoothly. I was happy that so many community members came out to not only raise money for the ALS clinic, but show Jack and Ellen love and support. I was happy to have my best friends, family, neighbors, and strangers all there with me- making Megan’s (Jack’s daughter) idea a huge success! I was also happy it was over so I could start brainstorming about next year’s event! I stated in my last post that I was terrified of event day! Looking back at it all, race day was by the far the best part! All the smiles, laughs and hugs were truly contagious! It was all around an amazing day! 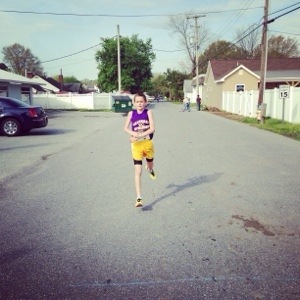 First time runners crossed the finish line, personal records were set, and plenty of memories made! I will leave you with one last picture. 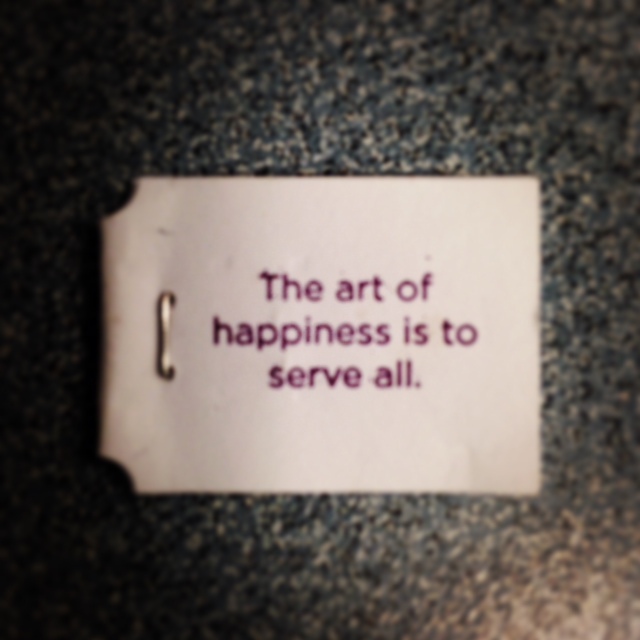 This was on my yogi tea yesterday and it is so true- I dare you to help someone else in any capacity and it not make you happy. Serving others and giving back is easy and extremely rewarding- so why don’t we do it more often?